In the weeks leading up the Chinese New Year and thereafter, a few of us were busy doing karung guni duties. All for a fabulous cause by Project Spare Attire! 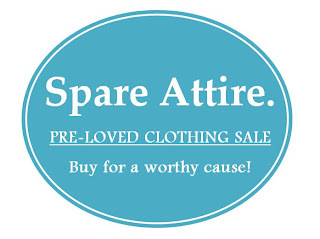 Project Spare Attire was born in January 2011 to honour the good work of the SUN-DAC Centre for the Disabled and to support their Client Welfare Fund through a 2nd hand clothing donation and sale. Thanks to generous donors, we collected over 90 bags of 2nd hand clothes, which were mostly donated to SUN-DAC's Thift Store. 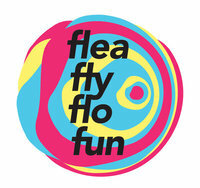 We have selected ladies clothing and accessories that we personally will pay good money for to sell at the FLEA.FLY.FLO.FUN Flea Market! The stall is generously sponsored by lovely organisers who run this fabulous Indie Elec-tric Flea Market. 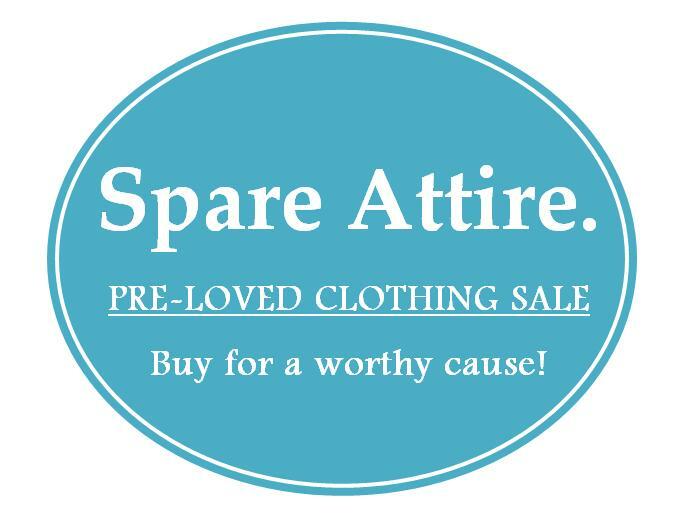 PROJECT SPARE ATTIRE FLEA MARKET SALE! I hope you'll be able to come down to support this sale and the many other stalls present at the flea event! Since 1990, SUN-DAC Centre for the Disabled has been providing daily living skills and vocational skills training for intellectually disabled adults. Their programmes include art & craft making, simple kitchen duties, traveling, swimming, occupational therapy, excursions, financial aid and counselling services etc. See http://www.sun-dac.com for more information and reports. As a Voluntary Welfare Organization, they receive partial funding from private donors, MCYS and NCSS. However, there are certain aspects that do not receive government funding -- and this is where the Client Welfare Fund comes in. Many of SUN-DAC's clients are not able to go to the Centre on their own, so SUN-DAC provides bus transportation from their home to the Centre. After means-testing, 85% of their clients do not pay the full fee; many only pay a small token fee. Many of SUN-DAC's clients require daily assistance at home. Unfortunately, sometimes their parents are unable to provide that care (eg. due to injury). The client is sent to short-term respite care homes, which can incur a fee of $1,500-$2K a month. This fee cannot be covered by Medisave, and SUN-DAC helps to fund their needy clients. SUN-DAC also affirms their clients by organizing outings and celebrations for them (eg. new year, birthdays). This is also funded by the Client Welfare Fund. Kaching caching! Good luck n have fun! Good on you and your sis for doing this! Wish I was living in Singapore because I have bags of clothes that i'd normally give away to salvos from time to time but oh well, have loads of fun and enjoy! Thanks - it is my sis's brainchild. I'm just helping out.